The U.S. Navy’s newest communications satellite, launched from Cape Canaveral two weeks ago, was forced to stop its ascent into a Geosynchronous Orbit due to an on-board anomaly, the Space and Naval Warfare Systems Command confirmed in a statement on Friday. 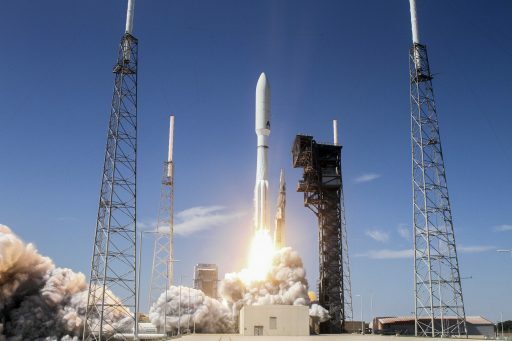 The fifth and final Multi-User Objective System satellite lifted off atop an Atlas V rocket on June 24, enjoying a trouble-free three-hour ride on its launch vehicle. Blasting off in its most powerful version, Atlas V was helped by five Solid Rocket Boosters to deliver the 6,740-Kilogram satellite to a custom Geosynchronous Transfer Orbit from where MUOS 5 was to complete an eight-day ascent to its high-altitude perch. The satellite then began conducting orbit-raising maneuvers and was lost by observers until July 3 when it was found in an orbit of 15,242 by 35,703 Kilometers at an inclination of 9.8°, about half way to its intended Geosynchronous Orbit in terms of change in velocity needed to reach GEO. 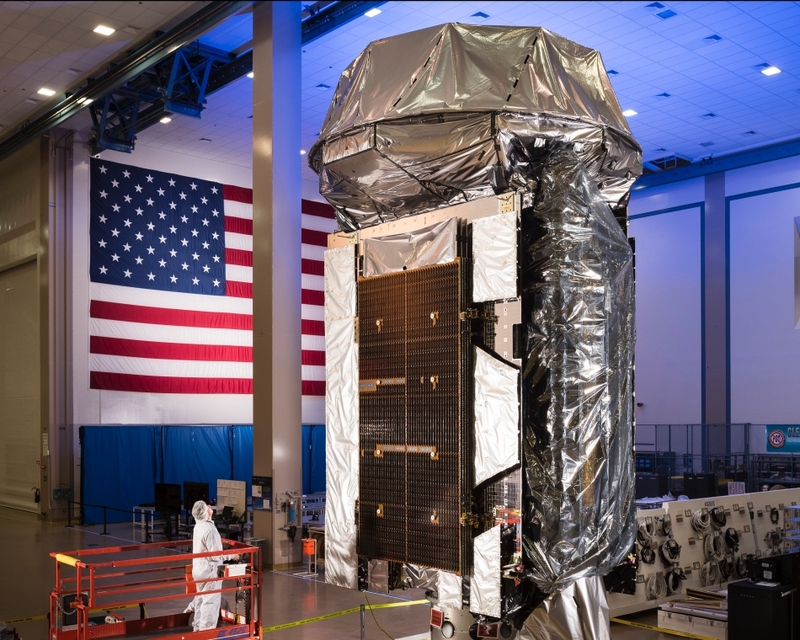 This was the first indication of something off-nominal as the plan had called for the satellite to reach its checkout location in visibility of a ground station in Hawaii by July 3. Satellite trackers reported seeing flashes from the satellite every few minutes. 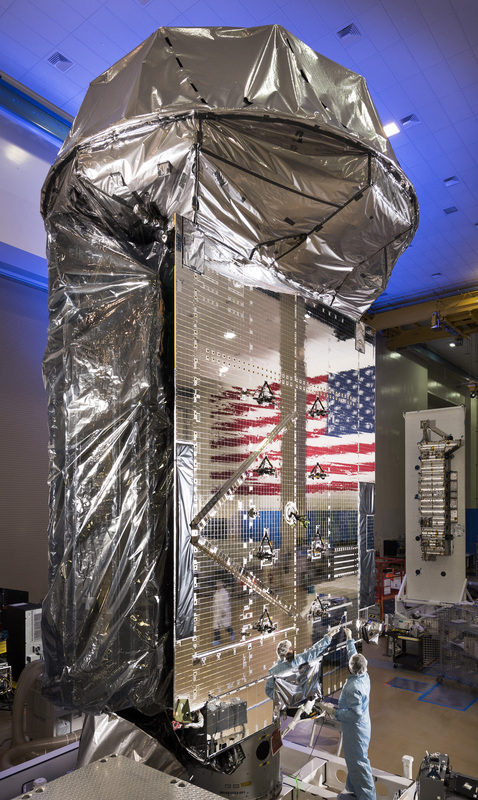 The U.S. Navy issued a statement on Friday confirming that transfer maneuvers had to be temporarily halted due to an onboard anomaly on MUOS 5. No details on the nature of the anomaly were provided. 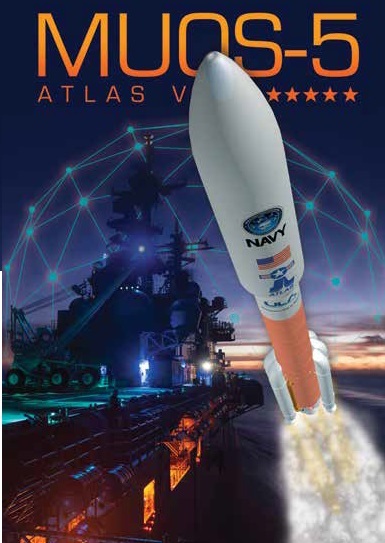 “The Navy’s Program Executive Office for Space Systems has reconfigured the satellite from orbital transfer into a stabilized, safe intermediate orbit to allow the MUOS team to evaluate the situation and determine options for proceeding,” the Navy statement said. Regular flashes could indicate the satellite was placed into a spin stabilized mode, orbiting Earth every 15.7 hours. 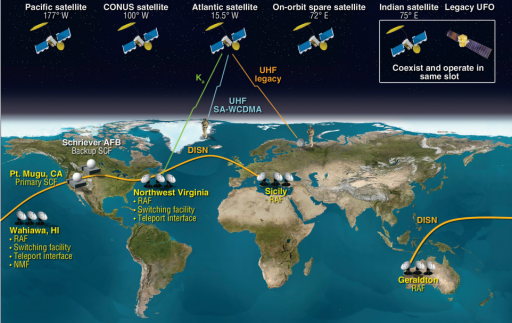 The 6.7-meter tall MUOS 5 satellite was headed to a 5-degree Geosynchronous Orbit, first making a stop over the Pacific Ocean, in visibility of a Hawaii ground station for a three-month checkout before moving to a position close to MUOS 4 over the Indian Ocean to reinforce coverage and be available as a spare to swiftly replace one of its four companions in case of problems. MUOS 5 hosts a BT-4 main engine supplied by IHI Aerospace, based in Tokyo. The Engine delivers 450 Newtons of thrust by burning Monomethylhydrazine fuel and Nitrogen Tetroxide oxidizer. BT-4 has been used by numerous Geostationary Satellites for the climb from their elliptical transfer orbits to their operational slots and it is also the engine of choice for Orbital ATK’s Cygnus spacecraft, employing BT-4 to make its orbital link-up with the International Space Station for regular supply runs. 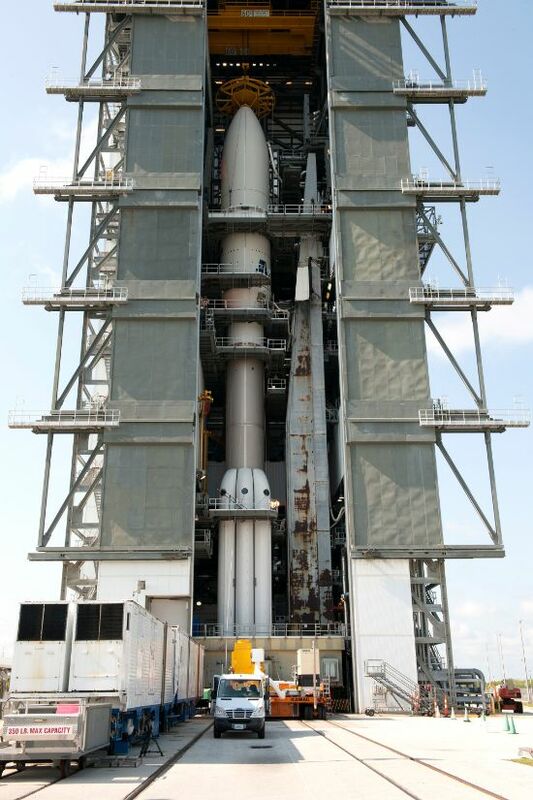 The MUOS satellites feature 18 Aerojet Rocketdyne monopropellant Hydrazine thrusters – 12 MR-103G 1-Newton and six MR-106L 22-Newton thrusters – installed in Reaction Engine Assemblies to deliver three-axis control and complete small delta-v maneuvers. 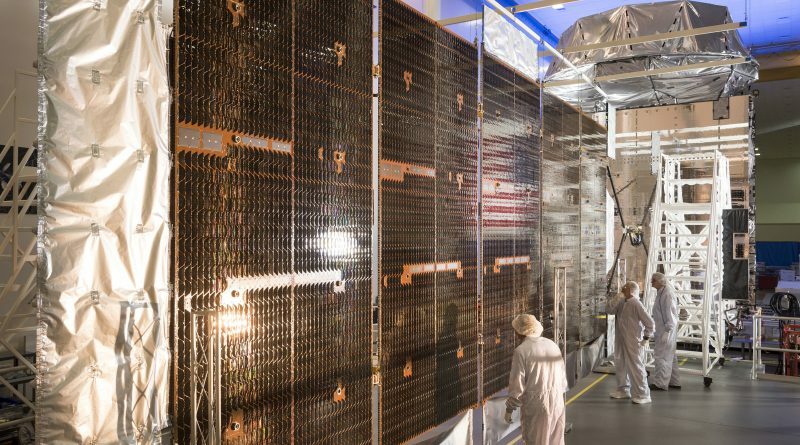 Whether the trouble faced by MUOS 5 is related to its propulsion system has not been disclosed, however, it would not be the first Lockheed Martin satellite to encounter maneuvering issues in recent years. 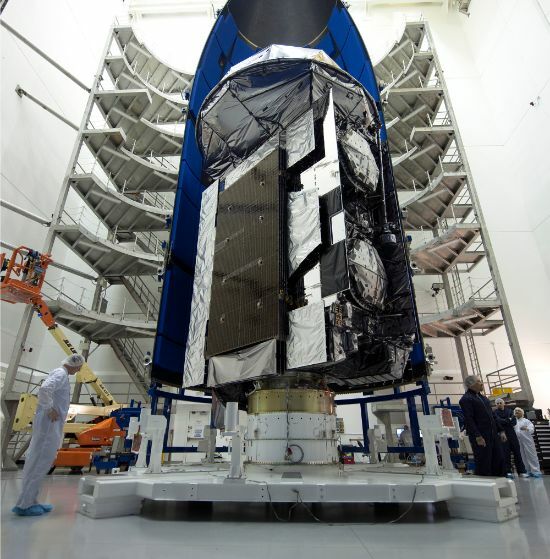 The first Advanced Extreme High Frequency satellite launched in 2010 could not use its BT-4 main engine after arriving in its transfer orbit because of a clogged propellant line – likely the result of a piece of cloth inadvertently left in the line. Luckily, the $1 billion satellite was fitted with an electric propulsion system that was re-purposed for orbit raising and successfully lifted the spacecraft to its operational location after over 500 maneuvers and 14 months. The problems faced by AEHF 1 manifested at the very first attempt to fire its main engine while MUOS 5 has already undergone a number of firings to raise its orbit, therefore a blocked line emerging now is highly unlikely. Whatever is troubling MUOS 5, teams are hard at work identifying a forward plan to recover the satellite. 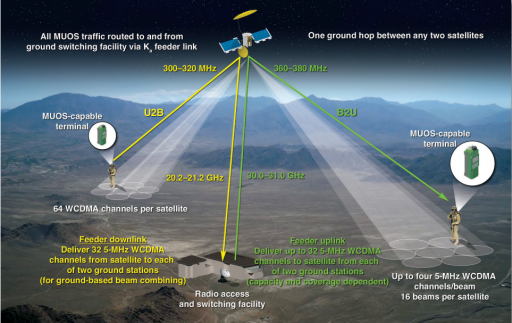 Whether and when MUOS 5 can resume its climb to GEO has not been disclosed. 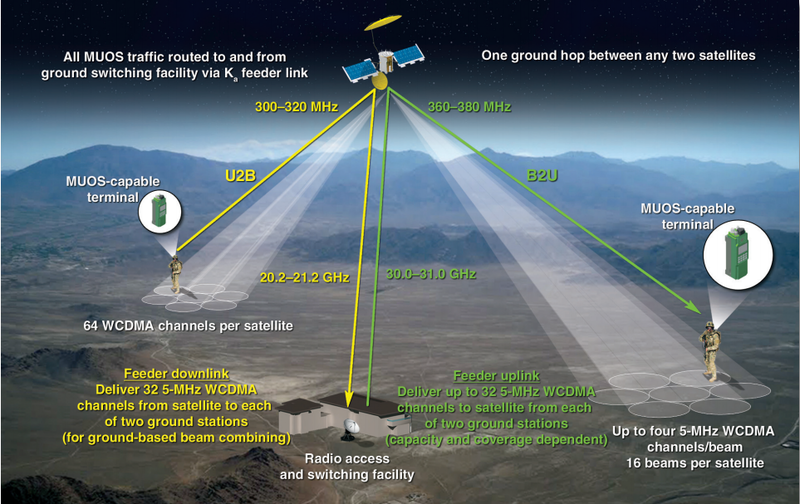 MUOS is a worldwide military communications system providing narrowband connectivity to mobile users across all branches of the U.S. Military. Four active satellites, served by four ground stations on Earth, deliver Ultra High Frequency satellite communications, primarily used by the U.S. Department of Defence with some international involvement planned in the future.